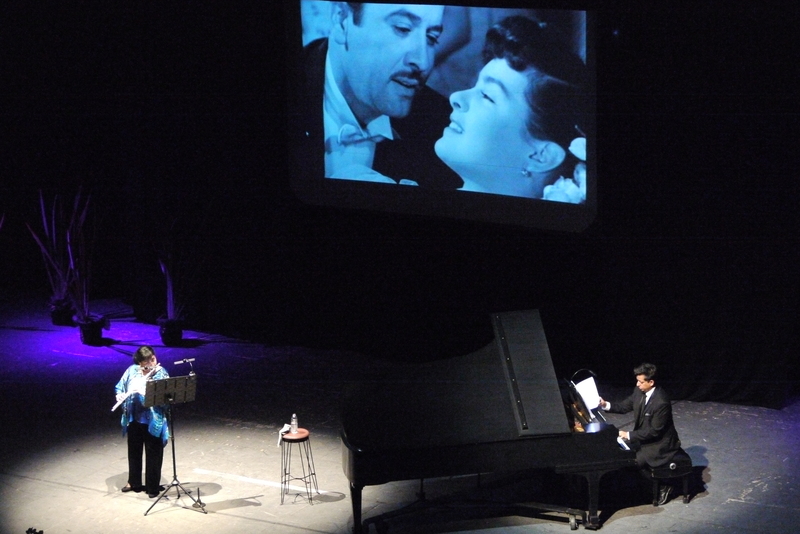 The first took place on 11 April in the amazing theatre at CECUT (Centro Cultural Tijuana) and celebrated the twenty fifth anniversary of a marvellous environmental organisation: PFEA – Proyecto Fronterizo de Education Ambient. 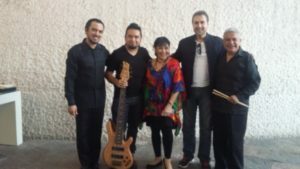 The second took place at CNA (Centro Nacional de las Artes in Mexico City) as part of the Secretary of Culture’s ALAS Y RAÍCES Festival for young people on April 30. The first enabled me to spend a week in Tijuana and San Diego – one of my favourite places on earth since that is where I feel most comfortable in my dual US-Mexican nationality. My dear friend of many years, Laura Silvan, President of PFEA and Director Margarita Díaz are a phenomenal duo who have had a profound impact on the environment in and around Tijuana (please check out their work at www.pfea.org). During my week with Laura and Margarita I was able to see first-hand something of the work they have been doing and the impact they have been making. On the 11th I gave a performance of PEDRO MI AMOR with composer and pianist Alexis Aranda. It was an unforgettable evening at CECUT and the following day we started planning a new venture for October: BEATLES ON THE BEACH with my Trio Amistad. Members of the Orquesta Sinfonica Juvenile de Tijuana played in the foyer and a Quintet of Flute players from the orchestra gave a performance before my show. The next day I visited them and had an ‘encuentro’ with my new flute friends. The ALAS Y RAÍCES Festival is an annual event for young people and this year was presented by Susana Ríos and her team in Mexico City’s Centro Nacional de las Artes www.alasyraices@gob.mx. There was a fantastic number of events over the two days of the weekend and more than forty thousand young people attended. The theme of this year’s festival was “jazz” and its influences and I was invited to play a concert with my Trio Amistad in the Sala Blas Galindo on 30 April. It is always good to return to Sala Blas Galindo because the staff are always so welcoming and we have a very enthusiastic audience of young people. Pianist Carlos Salmerón, bassist David Rosas and drummer Salvador Merchand joined with me a program of music by Henry Mancini, Paul McCartney, Claude Bolling and Dave Brubeck and we ended with La Bamba! It was very exciting to play to so many young people, some of them babes in arms attending their first concert! After our performance at Alas and Raices on April 30, with the great Cris Lobo! For me there is a special joy in working with with close friends and colleagues who are also inspirational musicians because we are always making new discoveries in the course of the concert. It was also special because a number of “my girls” whom I told you about last month were also there – and an unexpected member of the audience was the great guitarist Cris Lobo! So, two major concerts for me, supporting two of the most important causes: the Environment and Young People. One of the things I learned from Laura and Margarita is that by 2050 it is estimated that, with current trends, there will be more plastic bottles in the sea that there are fish! And one of the things I learned from Susana and her team is that a child is never too young to be introduced to music!